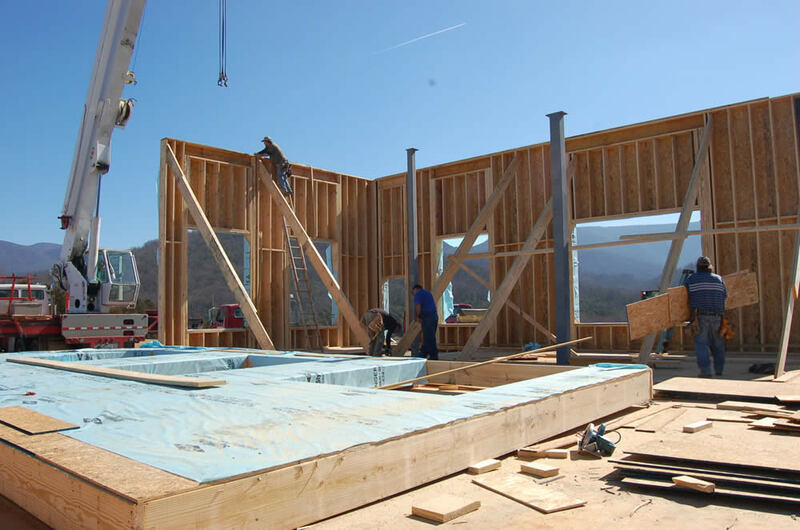 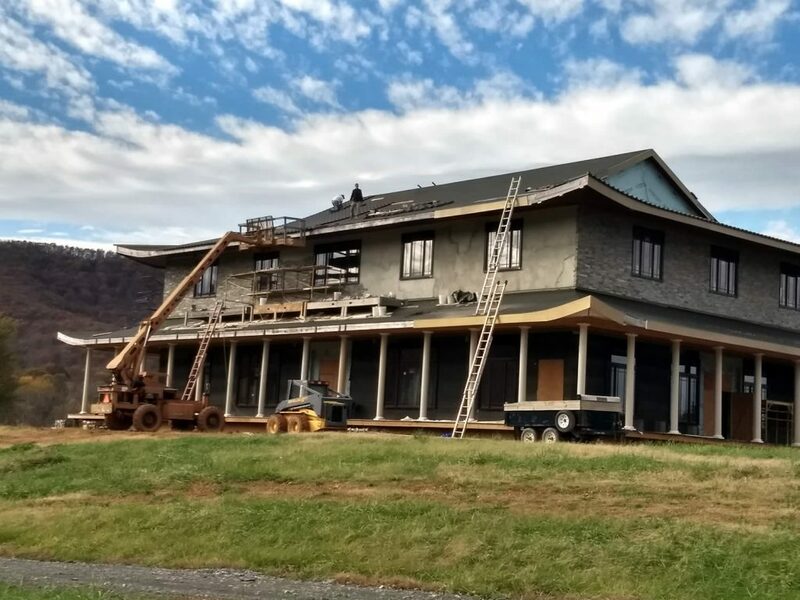 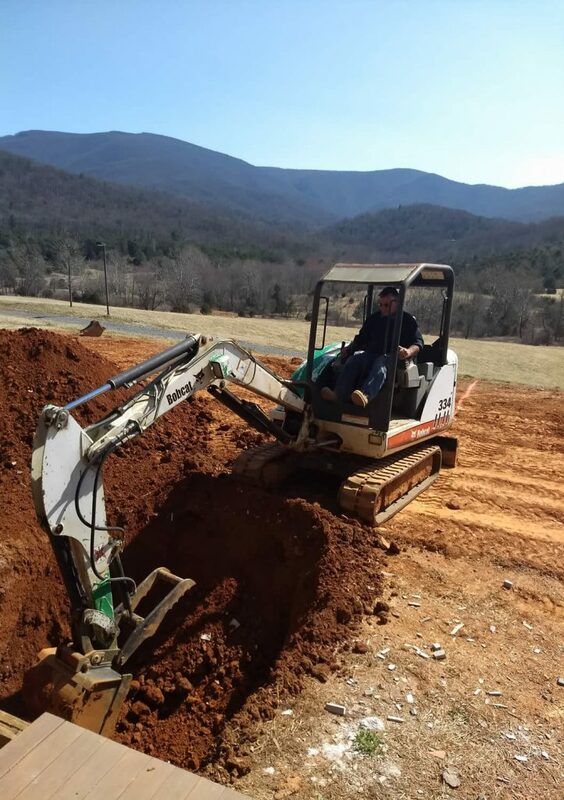 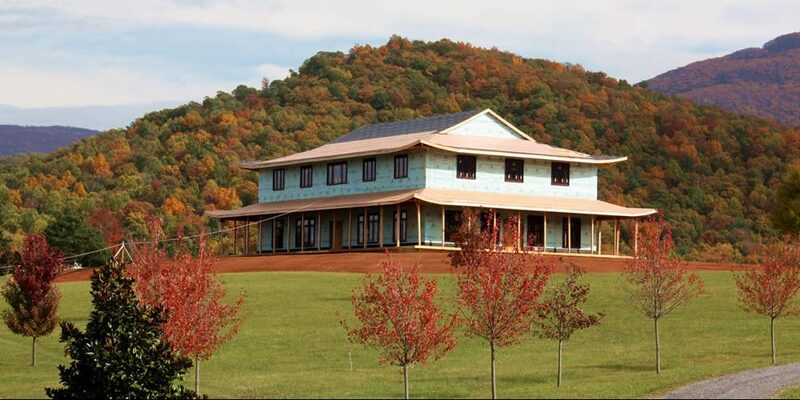 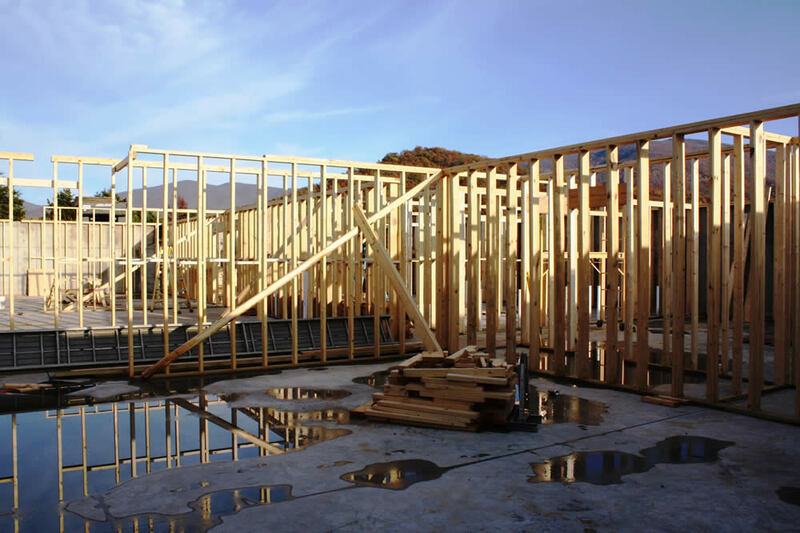 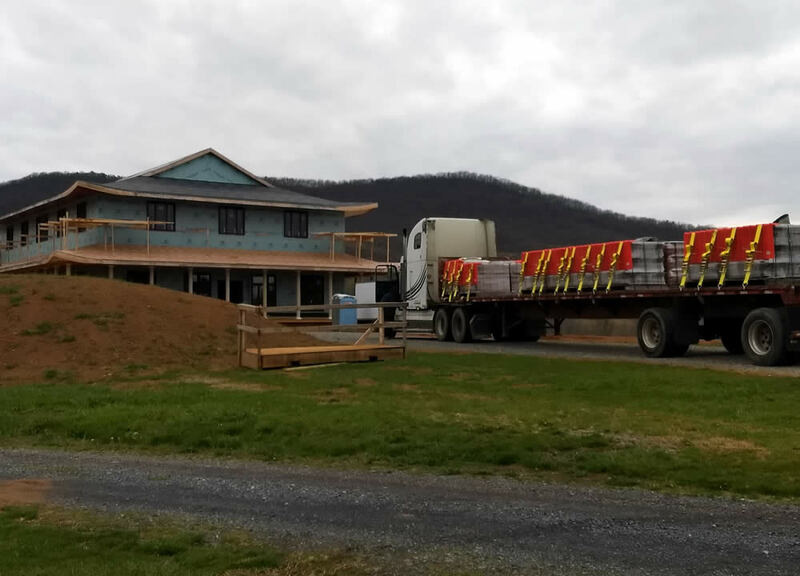 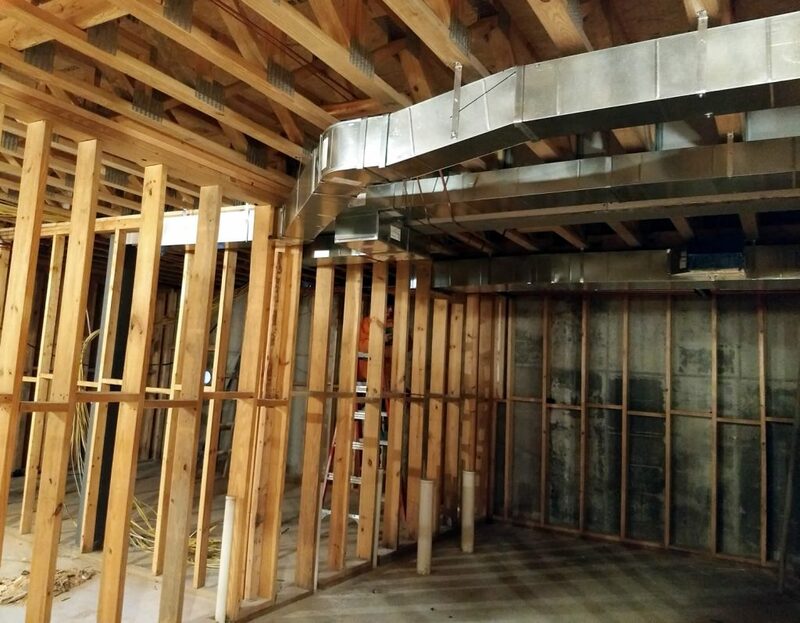 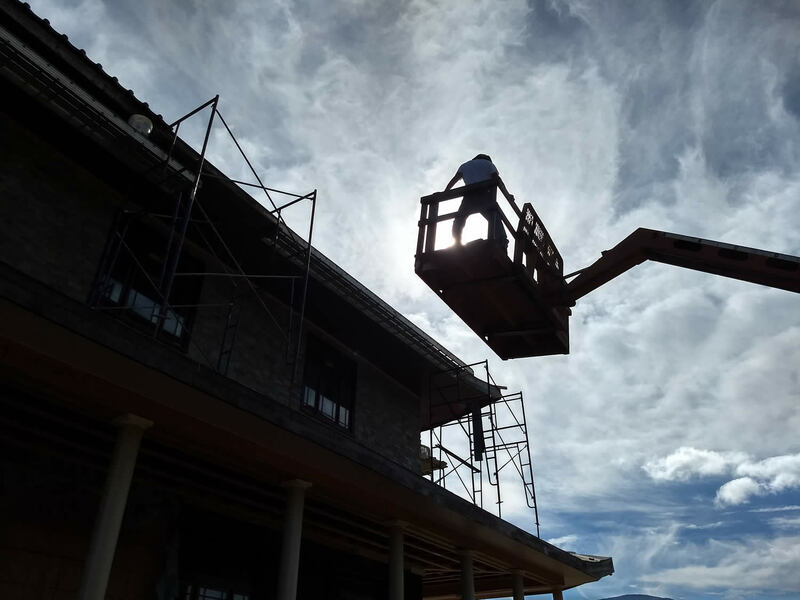 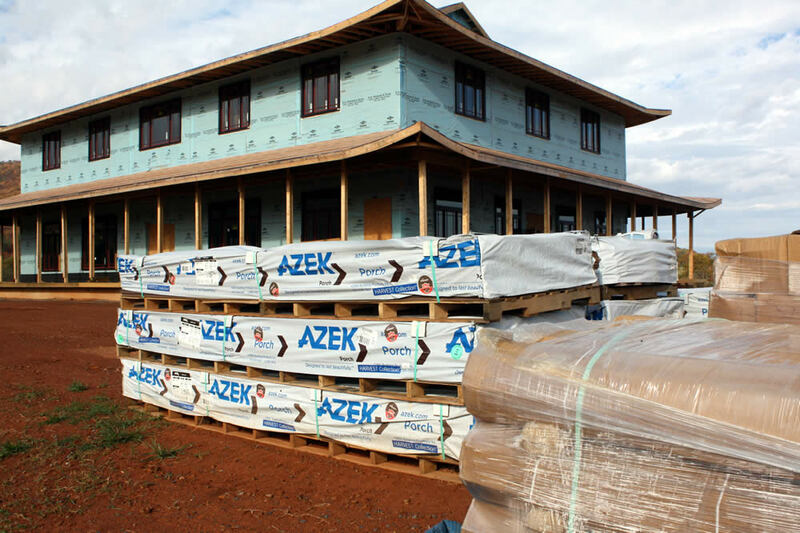 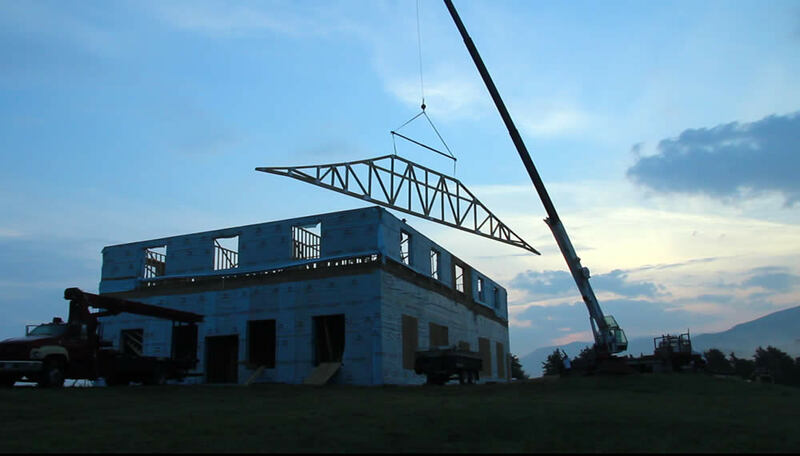 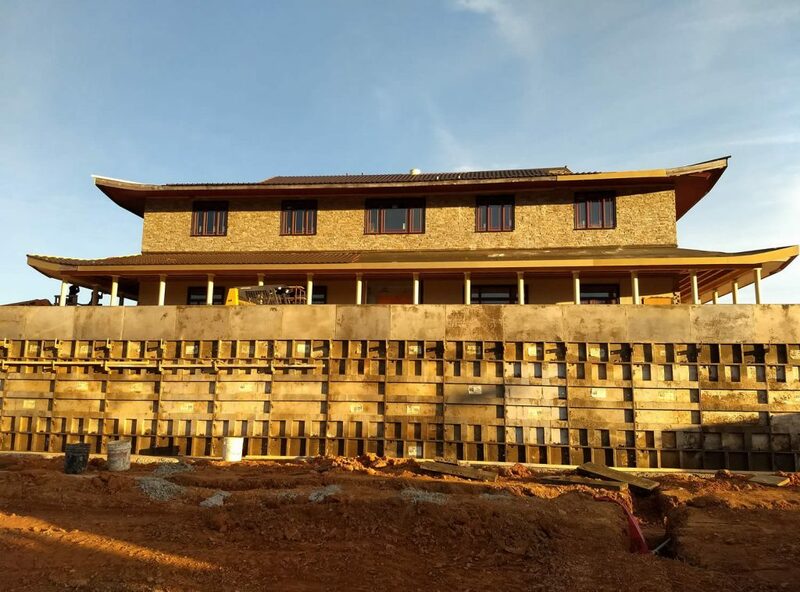 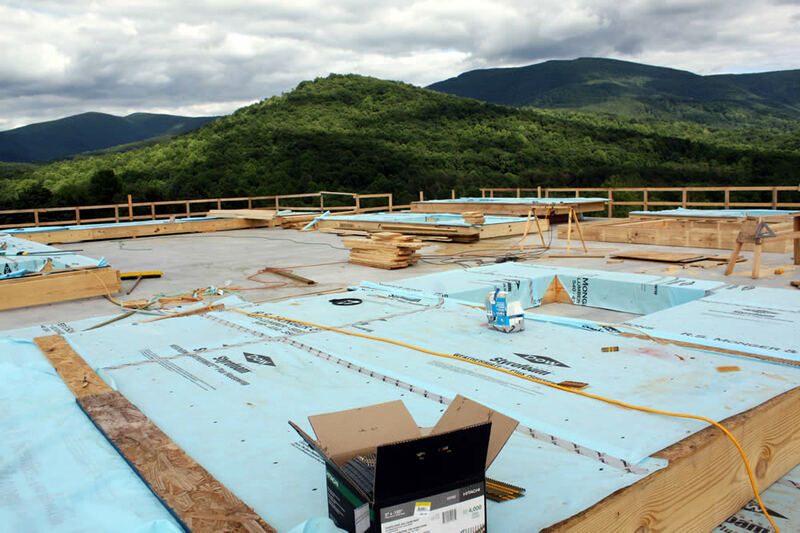 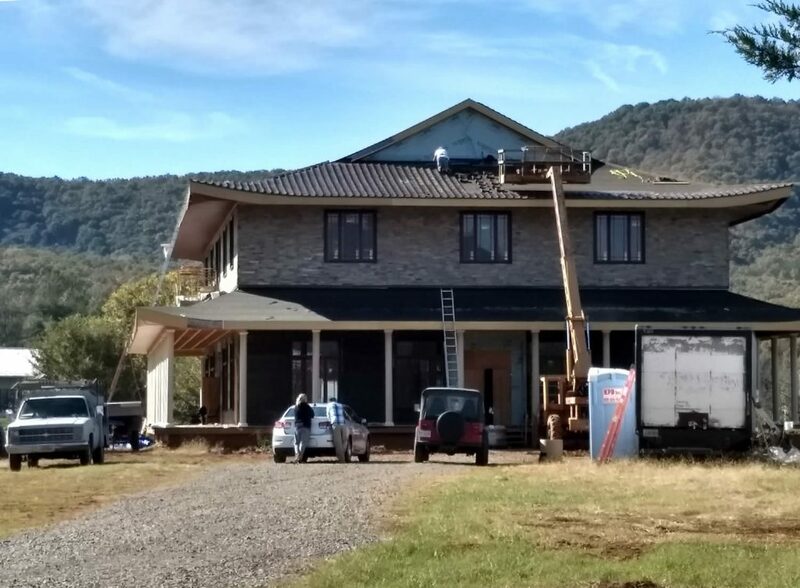 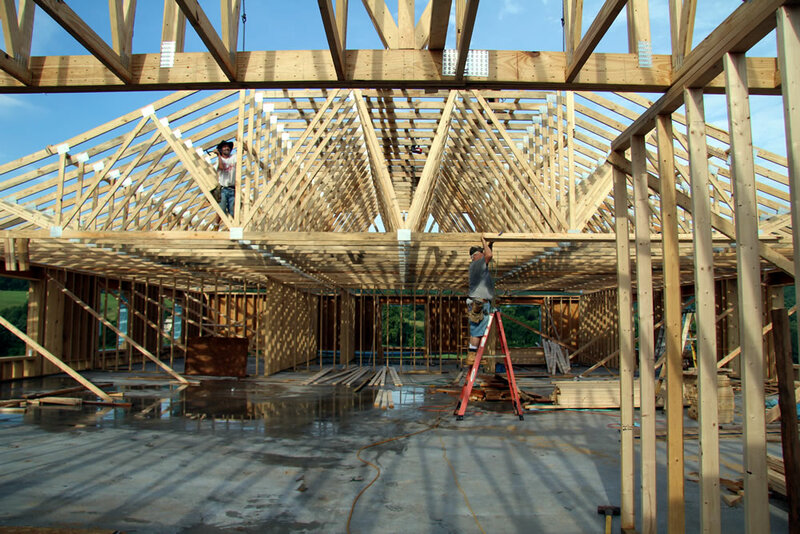 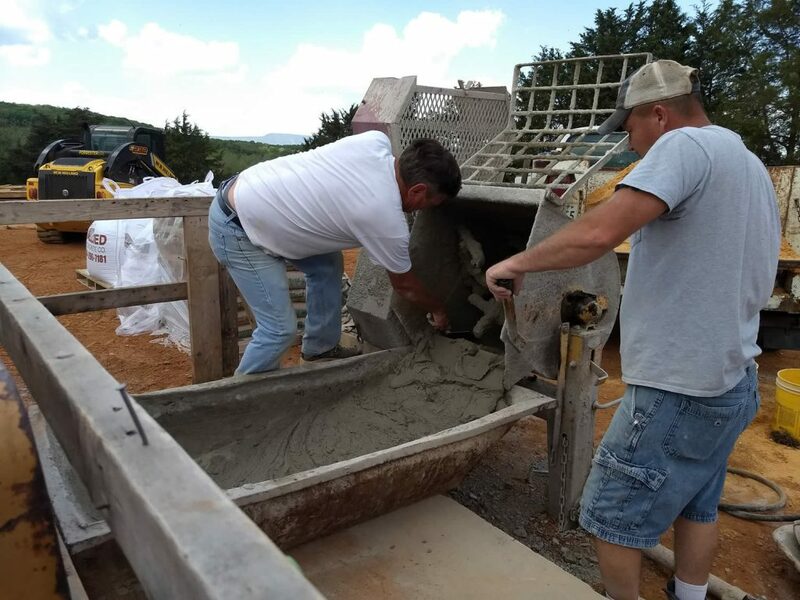 Since construction began in October 2015, Her Eminence Jetsün Khandro Rinpoche’s vision for a temple at Lotus Garden is well on its way to fruition. 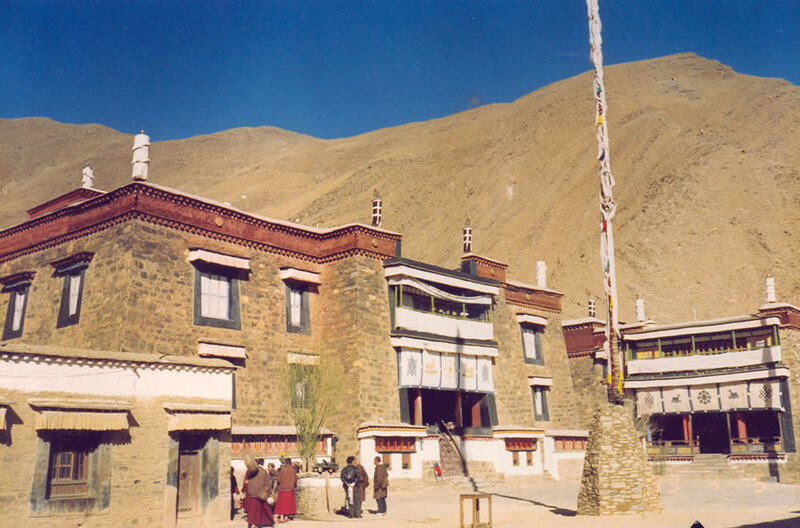 The temple, named Mindrol Gatsal, rises up prominently from the highest point of the land. 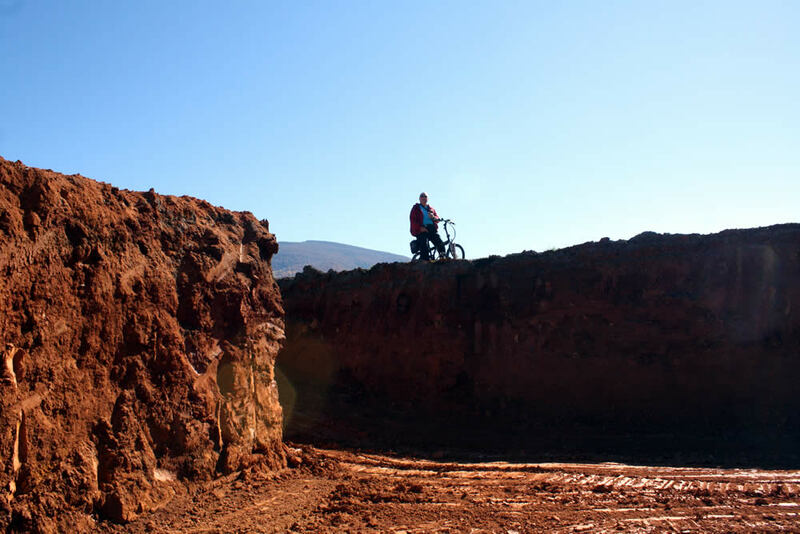 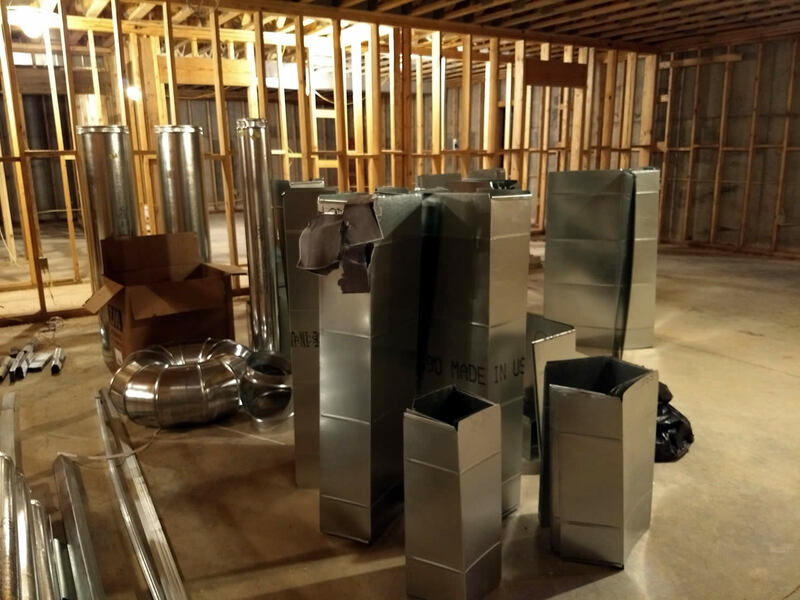 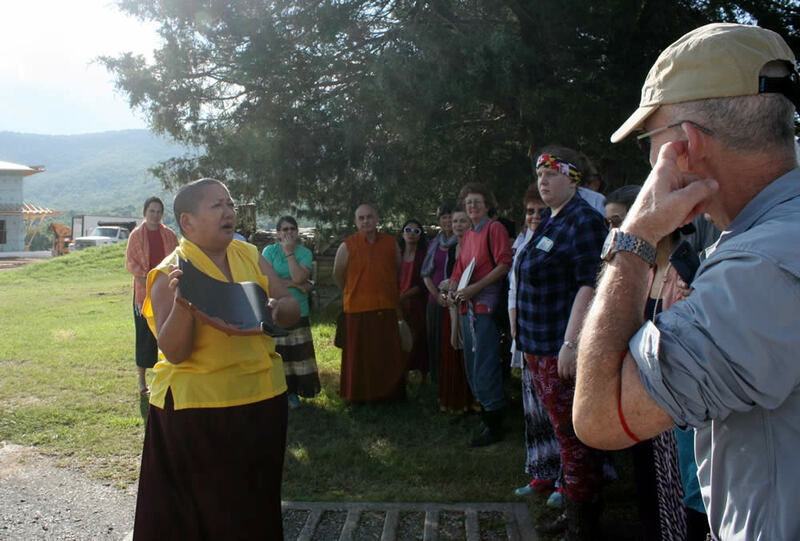 The site, selected nearly a decade ago during Lotus Garden’s inauguration, has received the blessings of many masters and practices in the ensuing years. 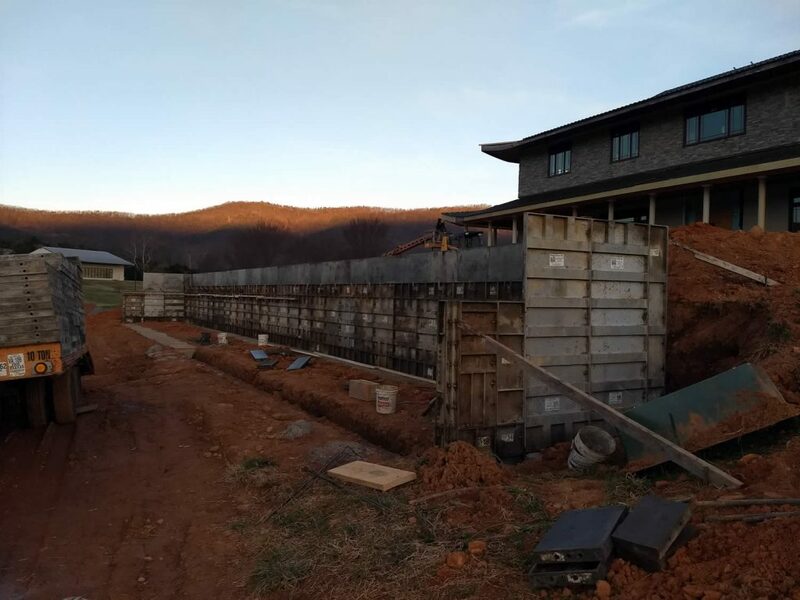 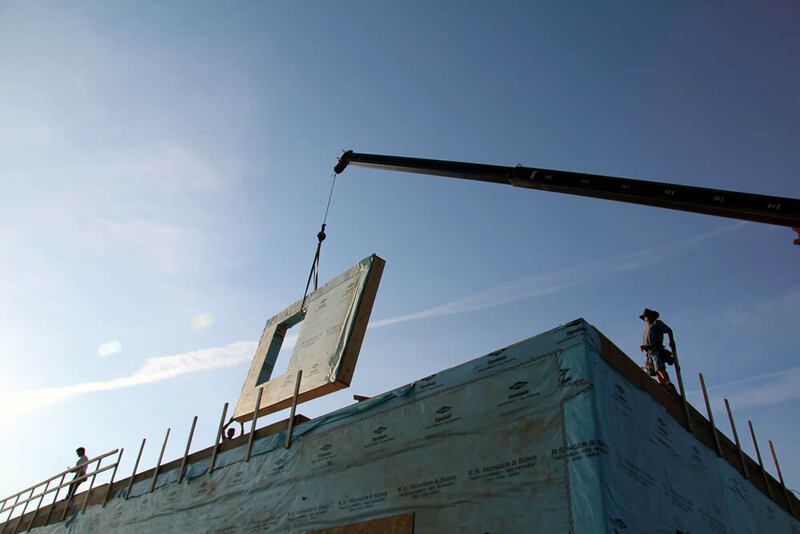 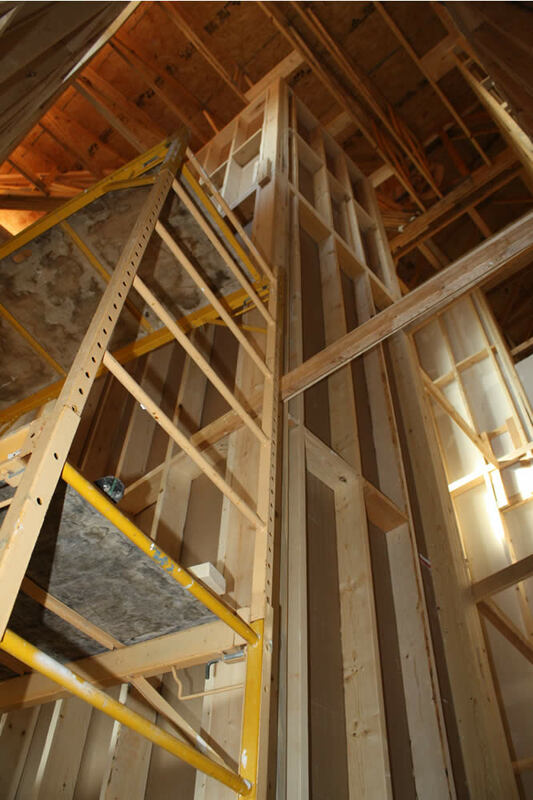 Earlier this year, the walls of the two-story temple were erected. 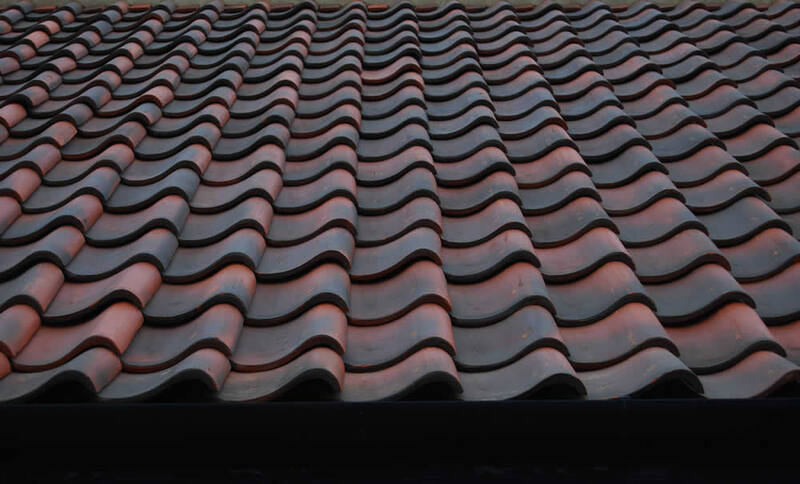 The roof features a sweeping curvature, rising up at the corners, reminiscent of traditional Asian temples. 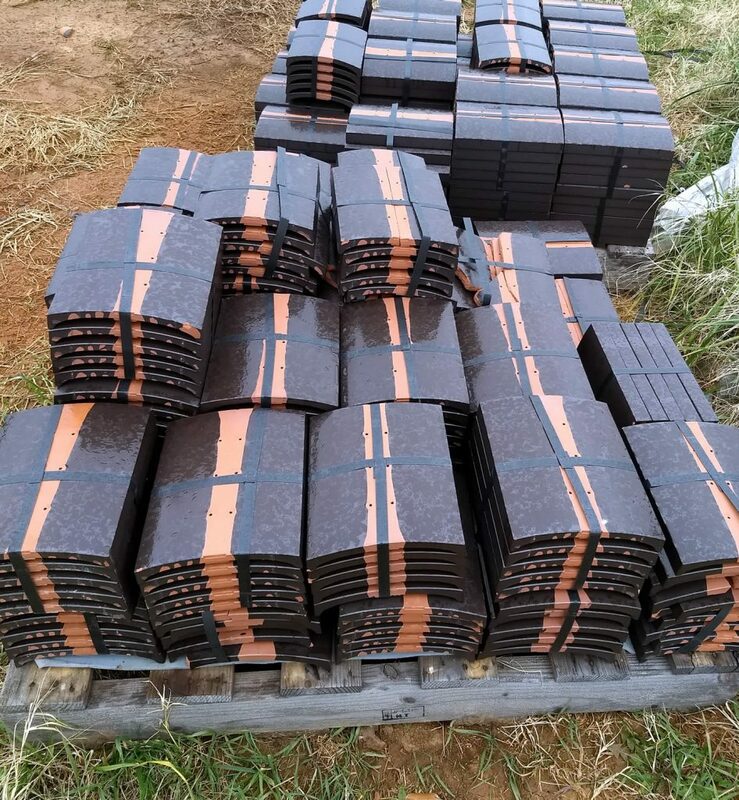 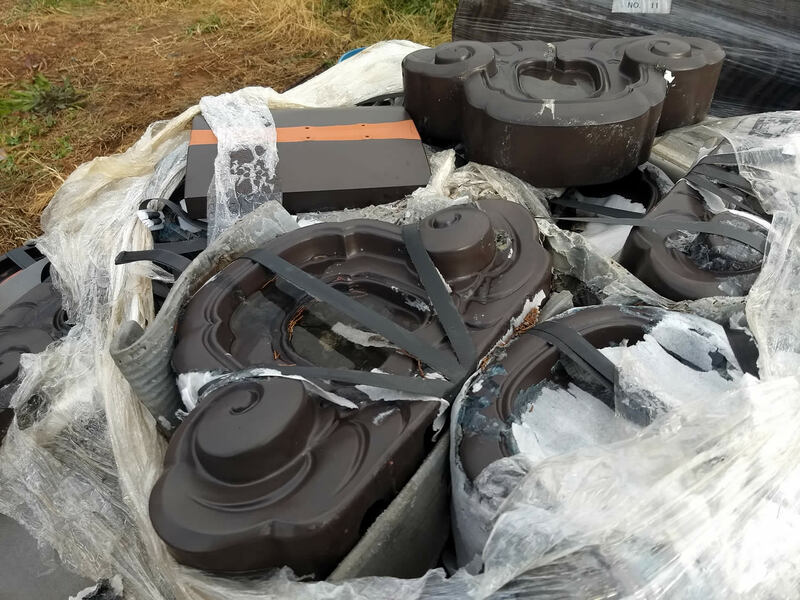 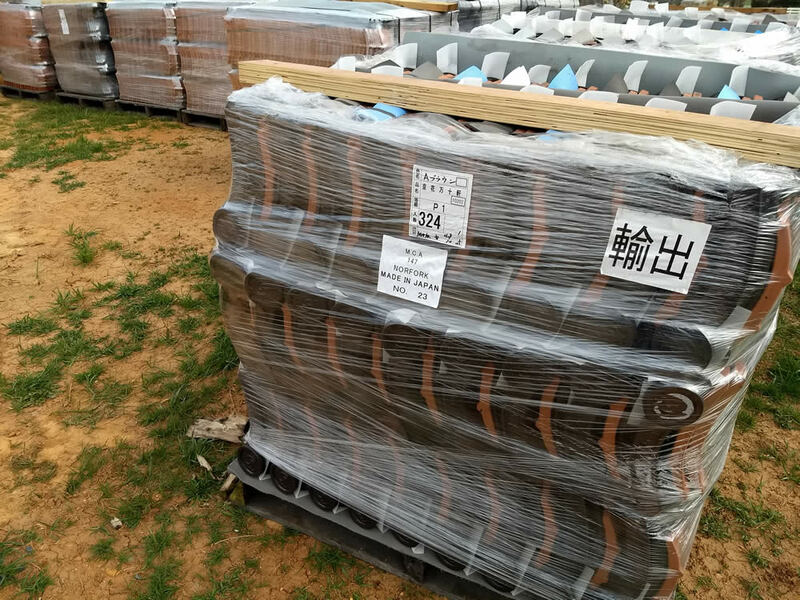 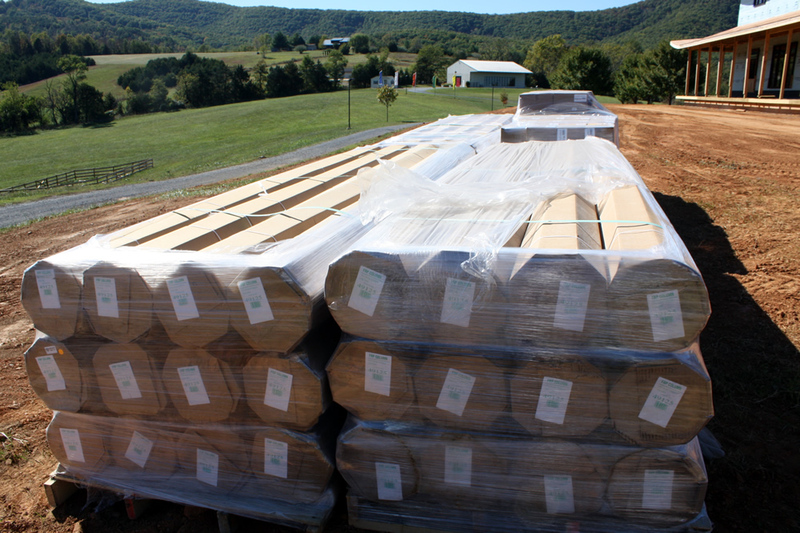 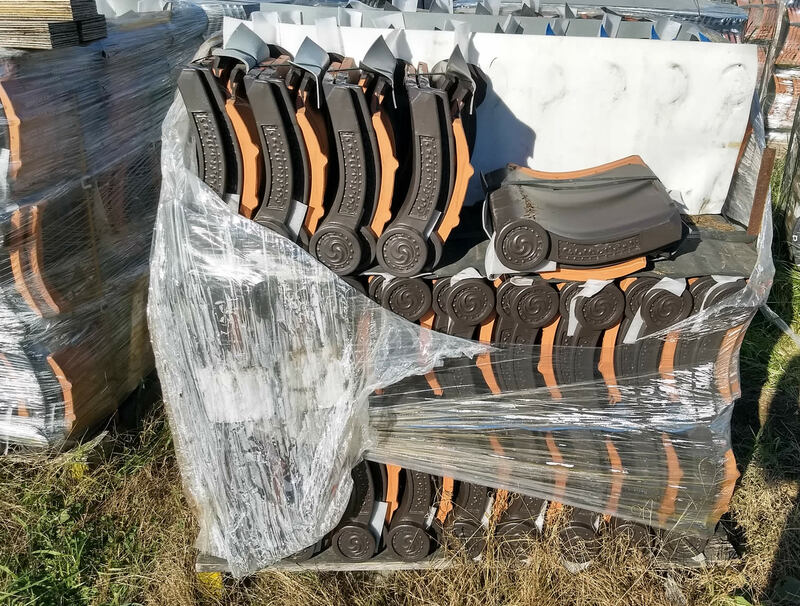 Clay roof tiles en route from Japan will be installed upon arrival. 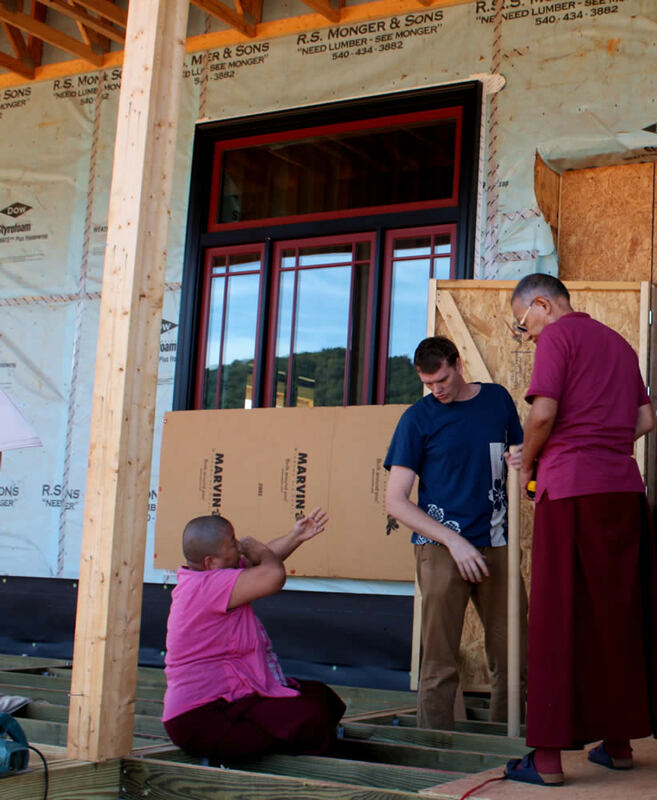 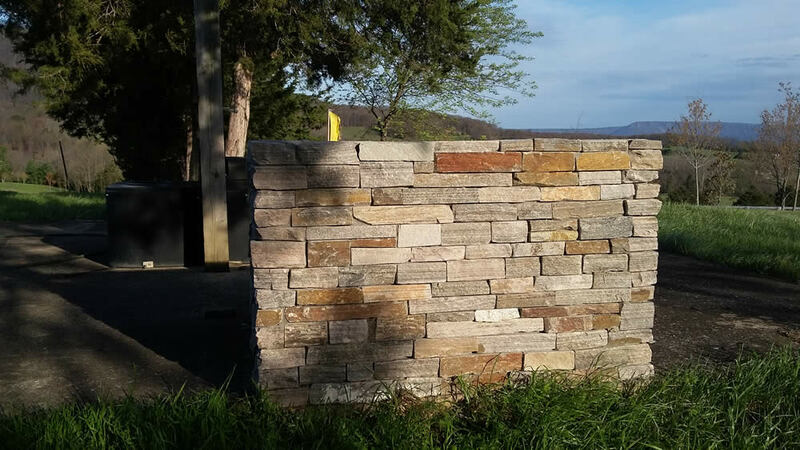 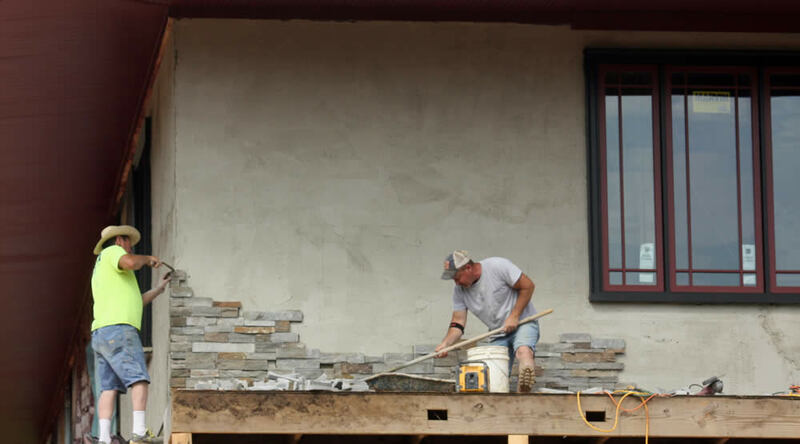 The facade will feature stone work similar to the renowned temple of the Mindrolling Monastery in Tibet. 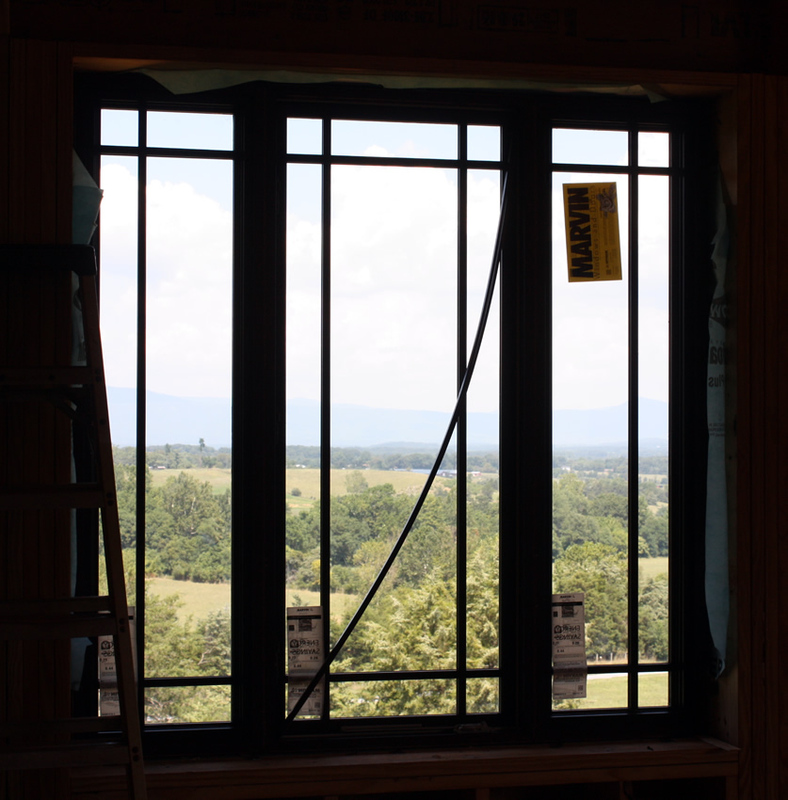 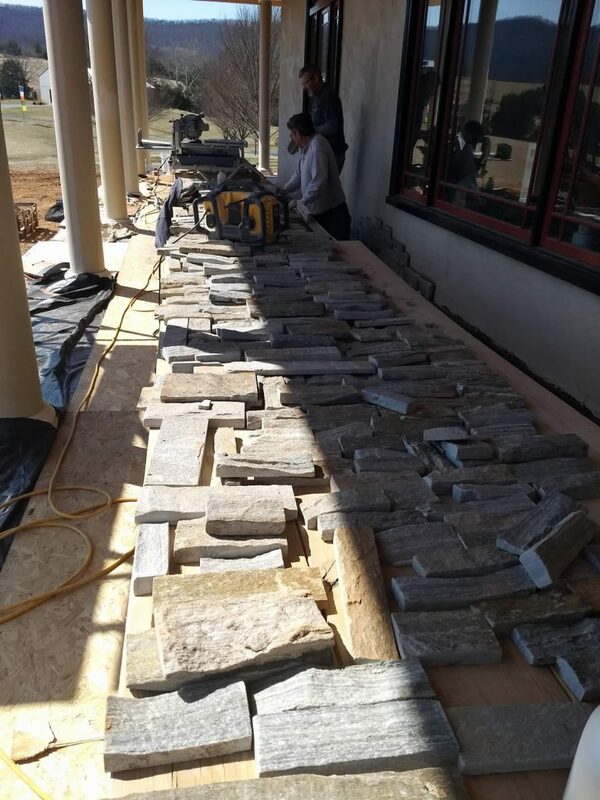 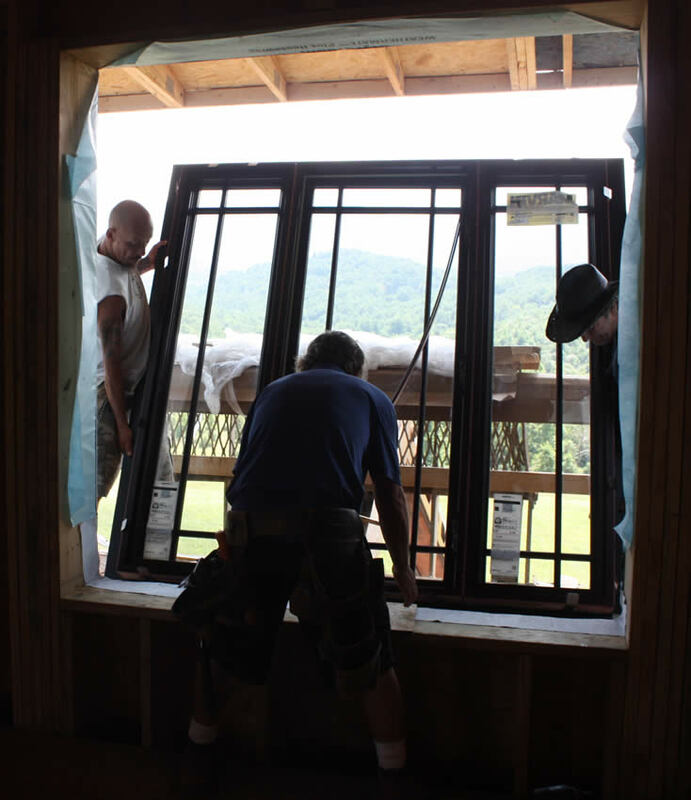 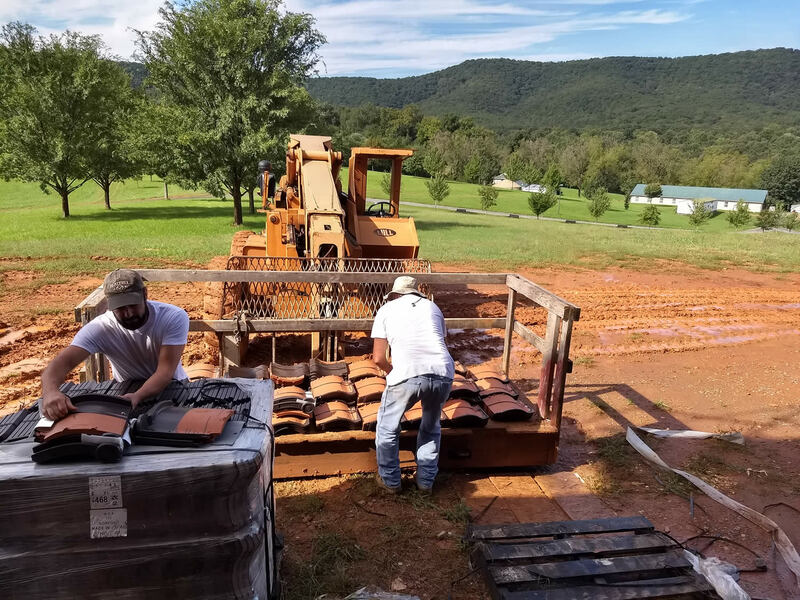 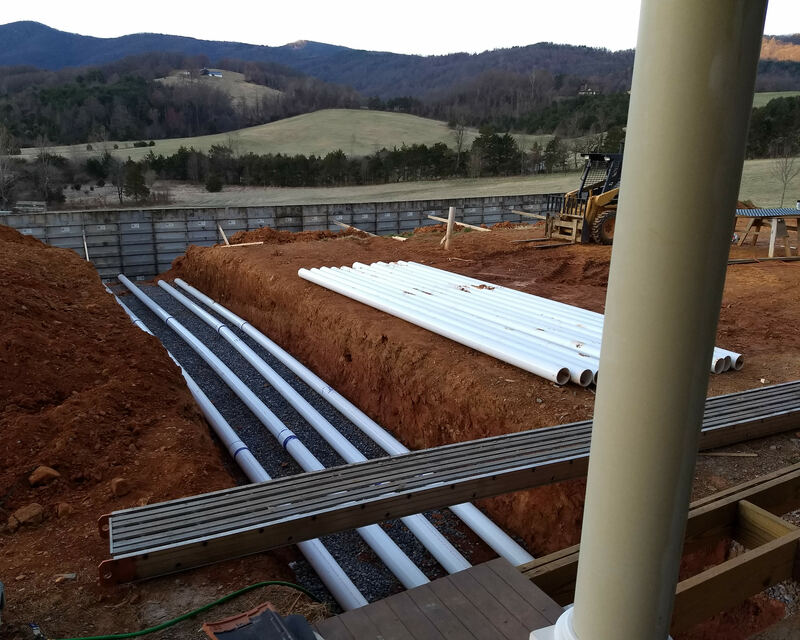 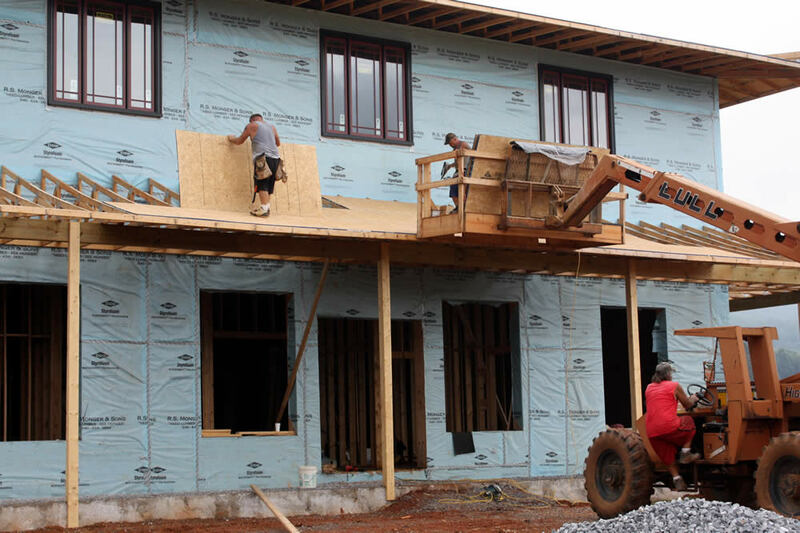 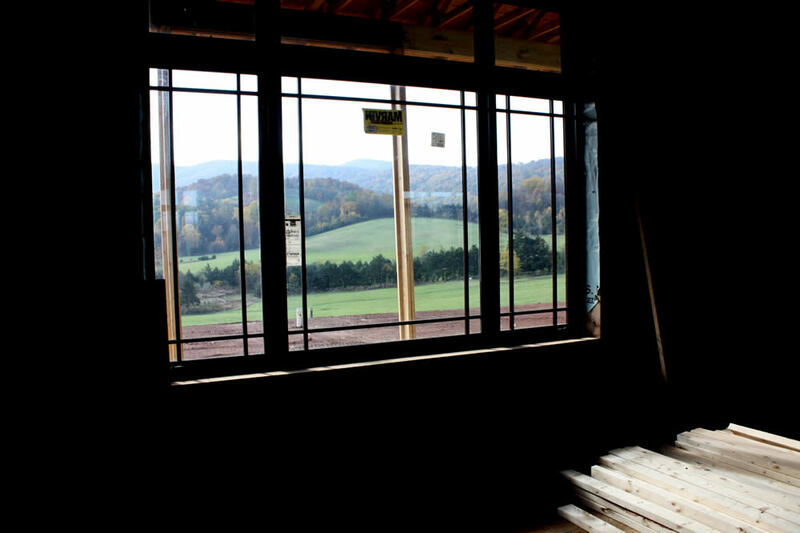 During the summer 32 handsome windows were installed, which make the view of the surrounding Blue Ridge and Massanutten Mountains even more spectacular. 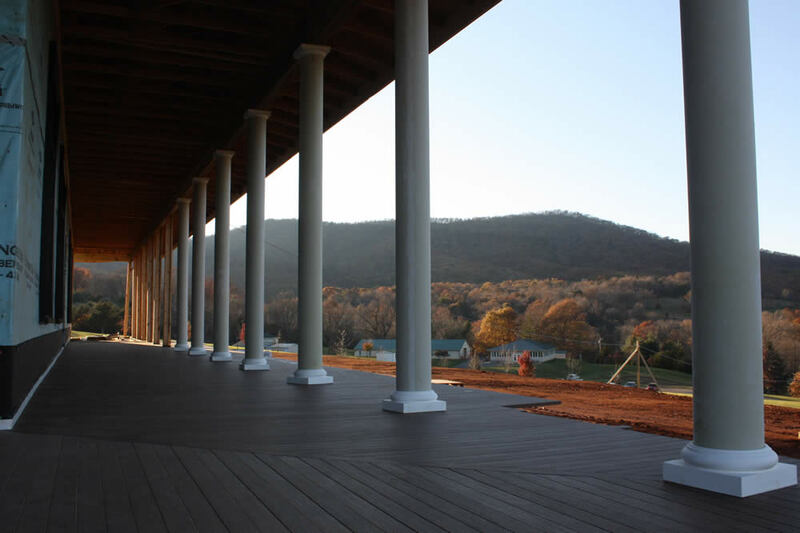 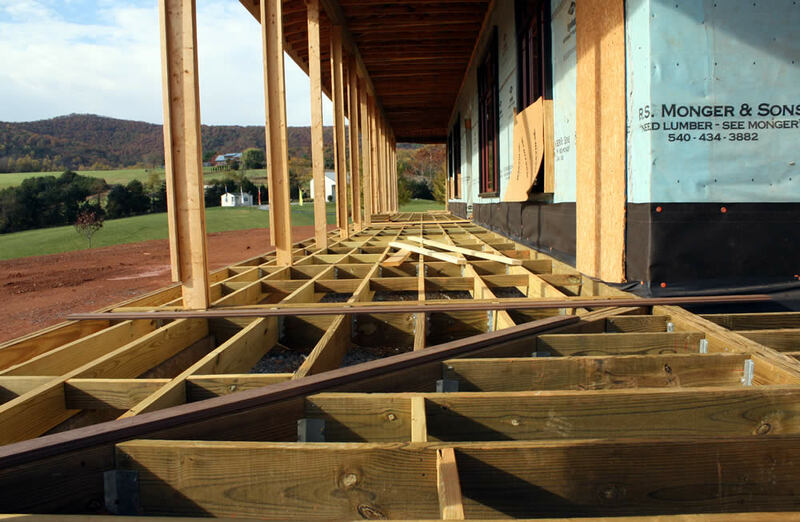 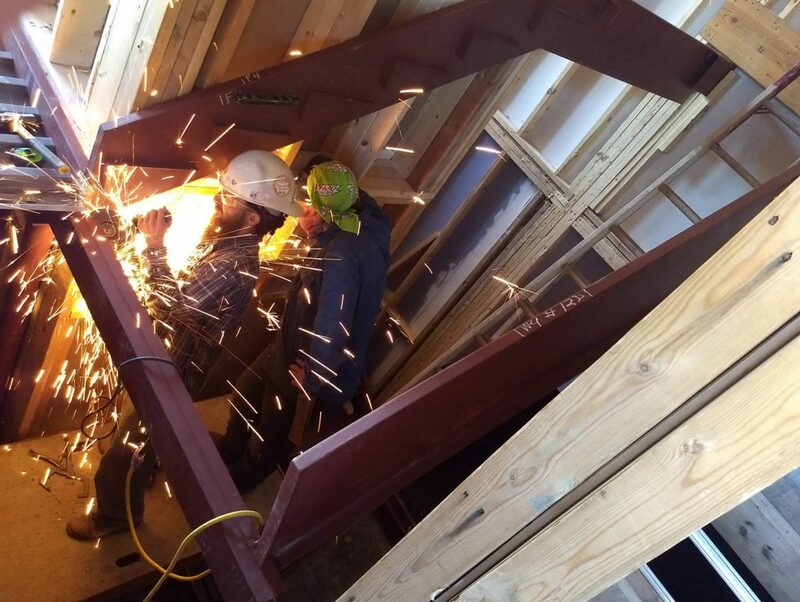 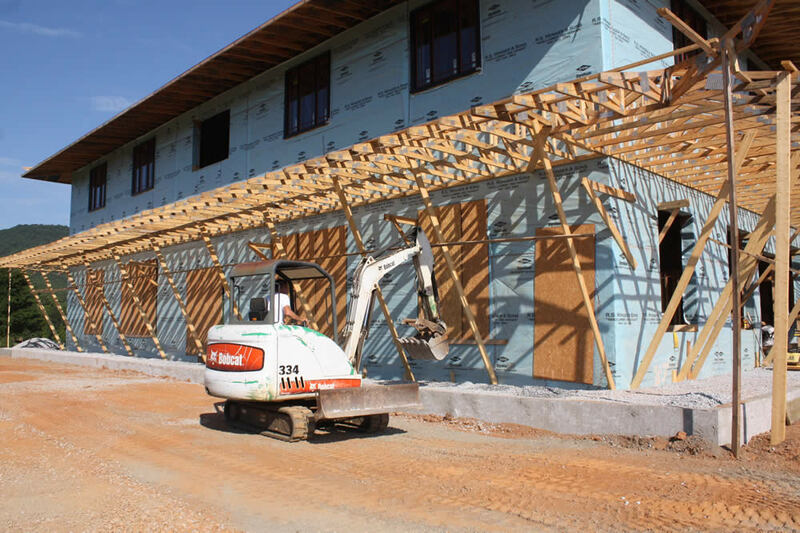 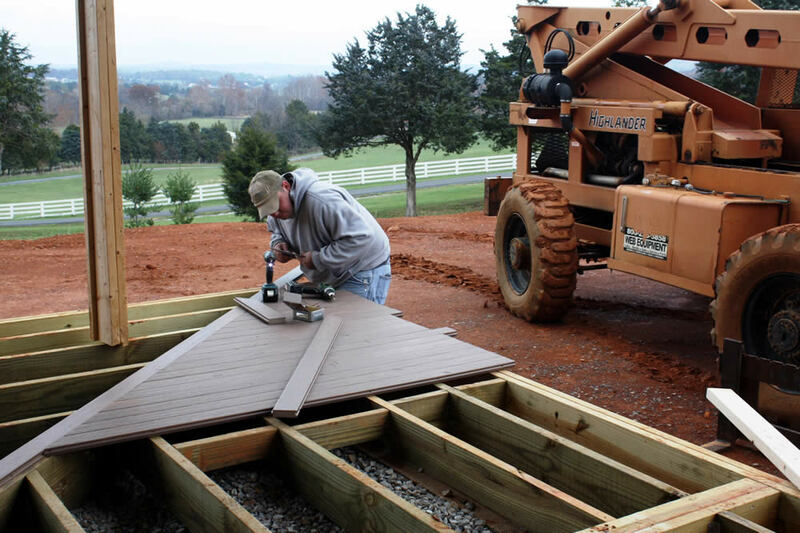 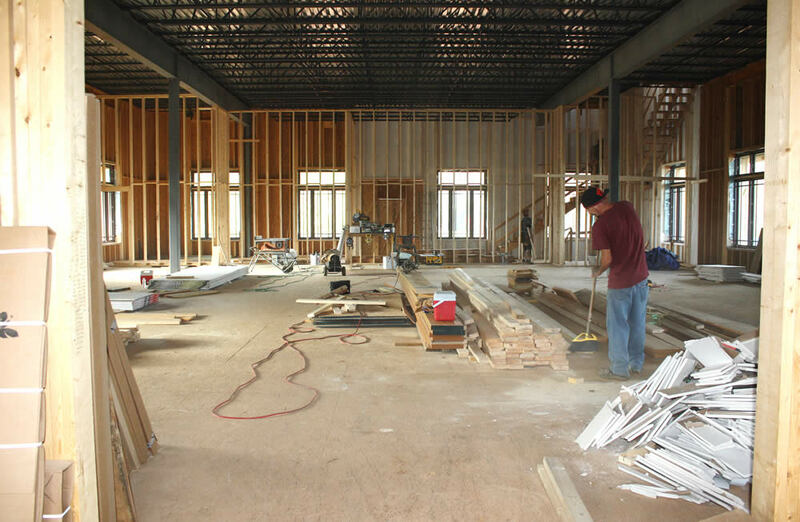 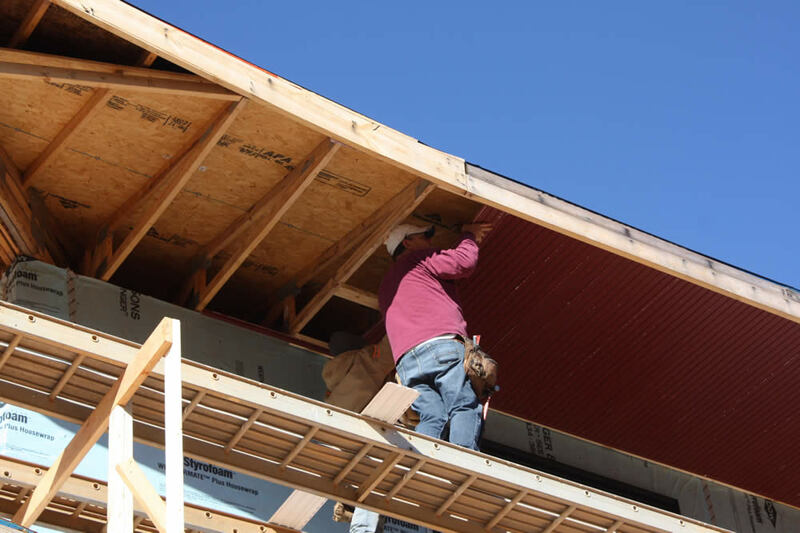 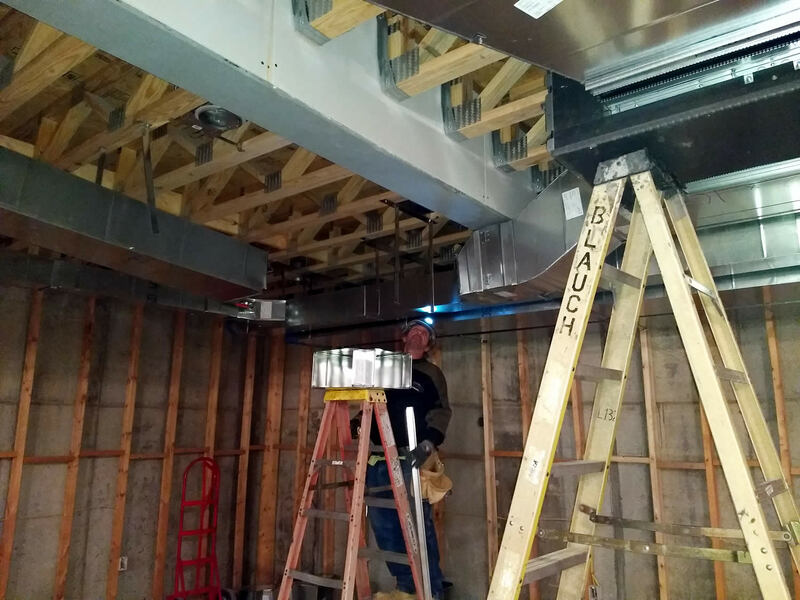 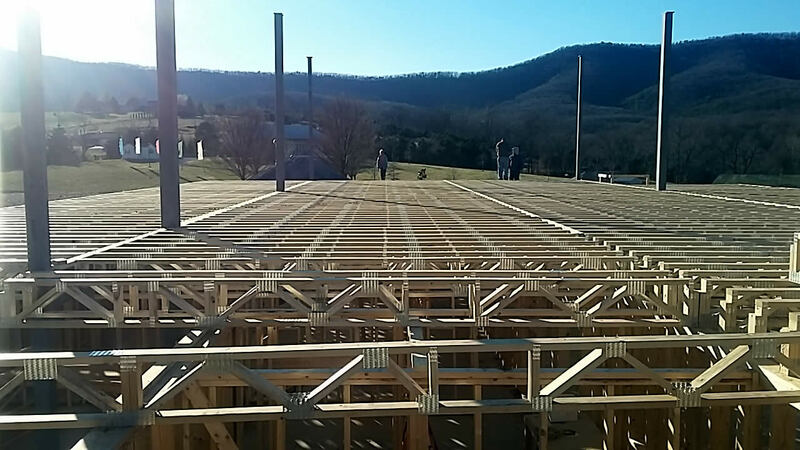 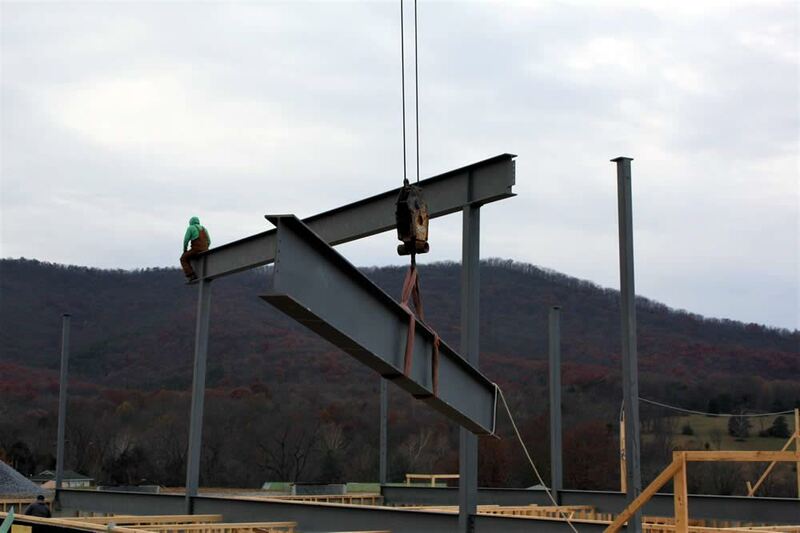 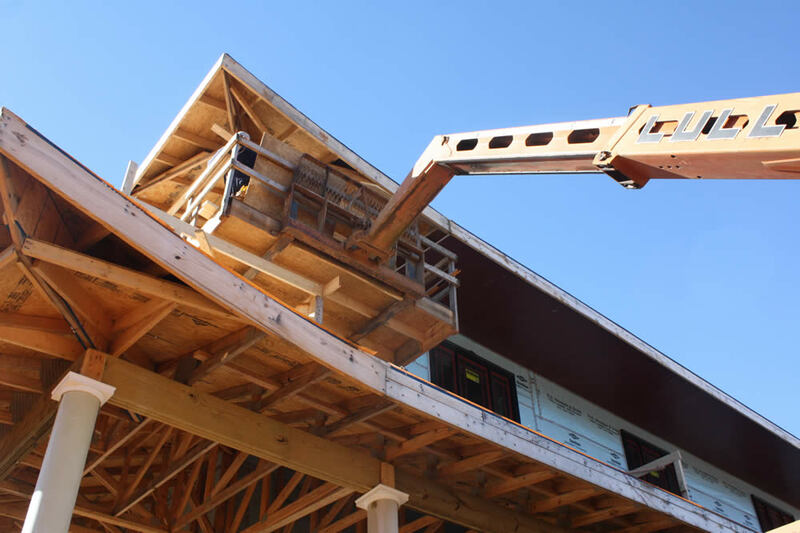 Workers are currently installing the flooring on the 12-foot wide veranda, which encircles the building. 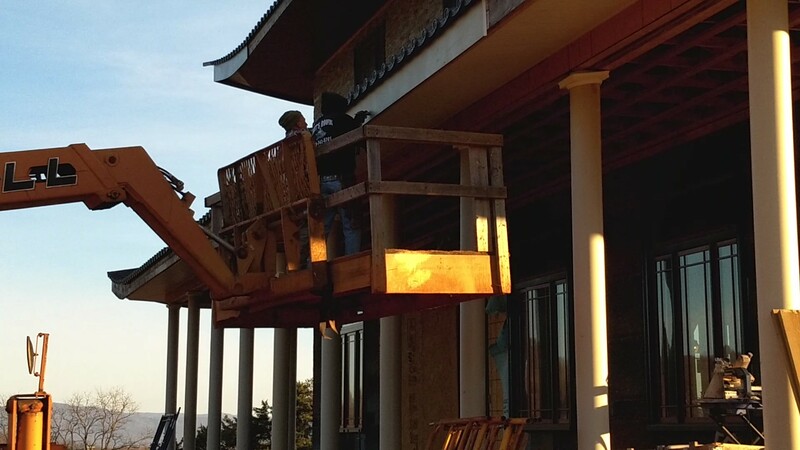 Forty-four red columns will support the veranda roof. 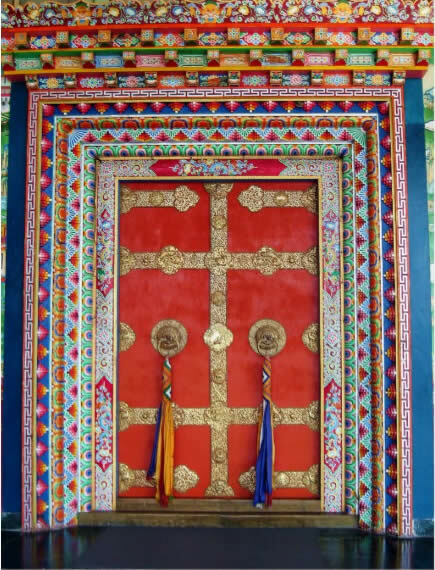 Four traditional red temple doors with decorated frames, facing the four directions, will open onto the veranda for additional seating. 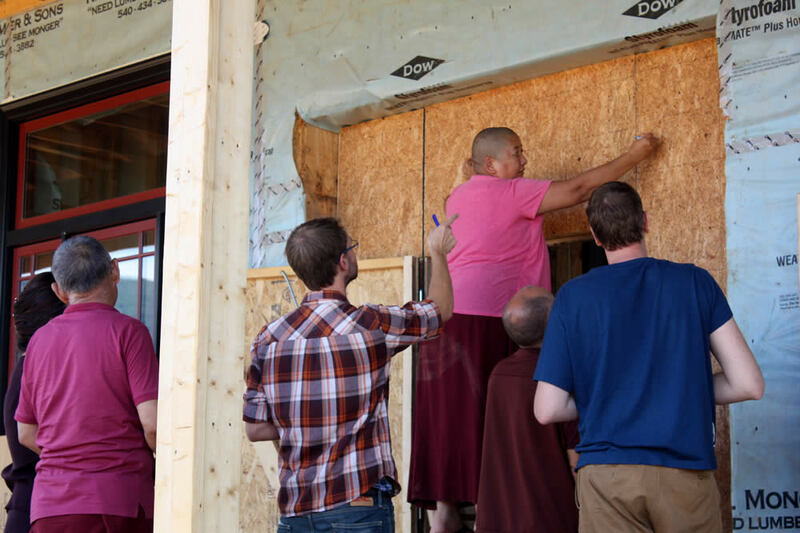 With the assistance of Lama Riga and Lama Phuntsok, skilled senior managers of Mindrolling Monastery in India, Rinpoche is now looking ahead to ornamentation and art for the exterior. 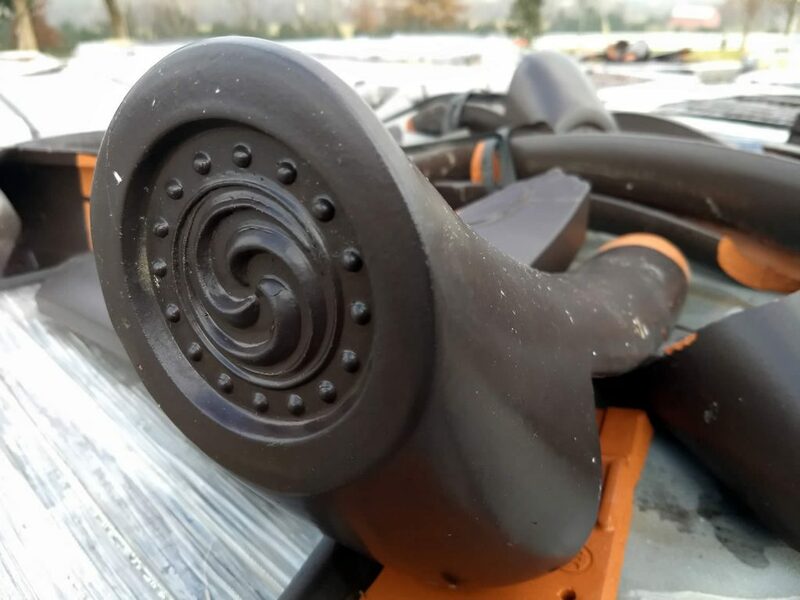 The Mindrolling managers will coordinate the acquisition and fabrication of various architectural ornaments from India and arrange for their shipment to Lotus Garden. 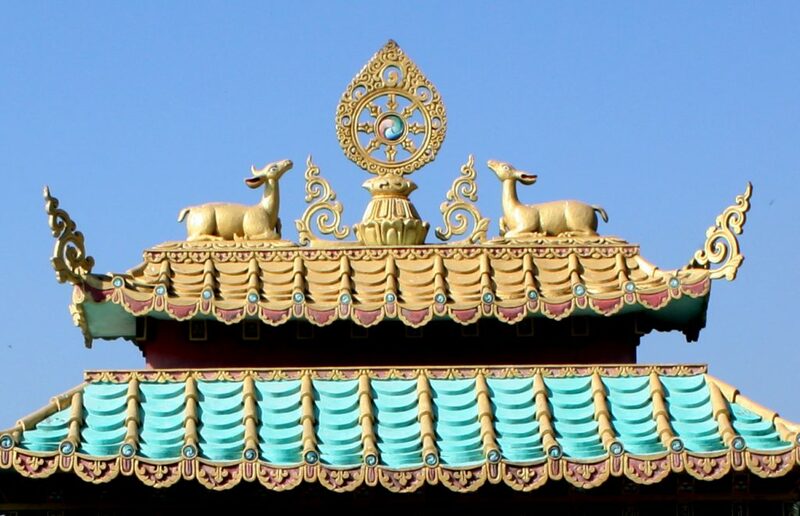 A golden dharmachakra flanked by two deer and the precious parasol will rest above the main entrance, which faces east. This is a feature found on all Tibetan Buddhist temples. 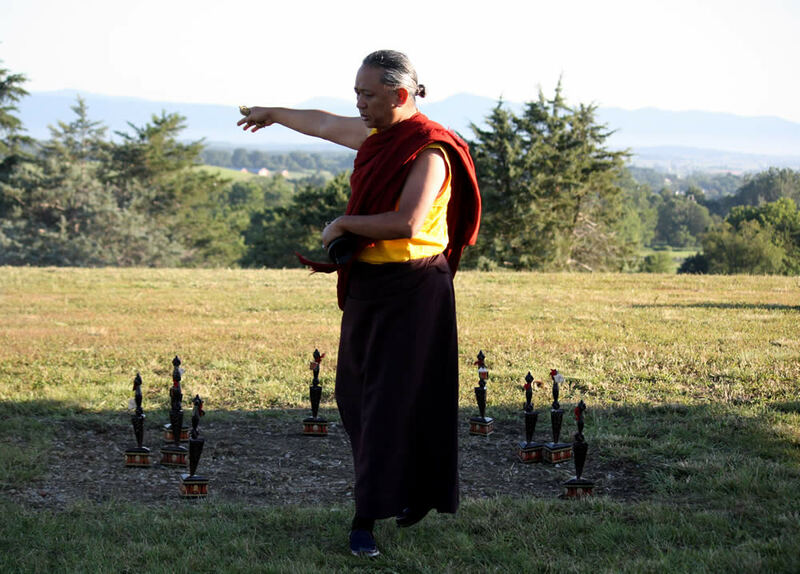 The emblem of the vajra knot will be inscribed over the west entrance. 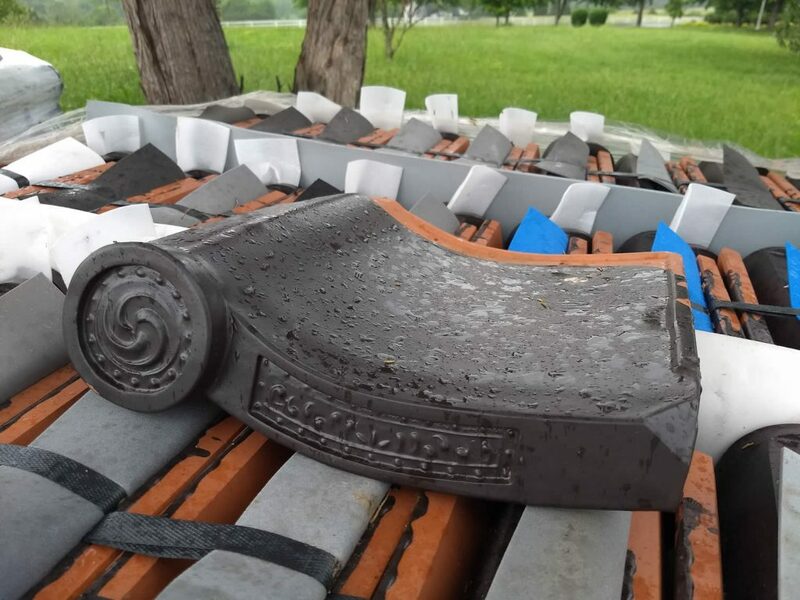 Traditional sculptures of garudas and dragons will ornament the curved corners of the roof. 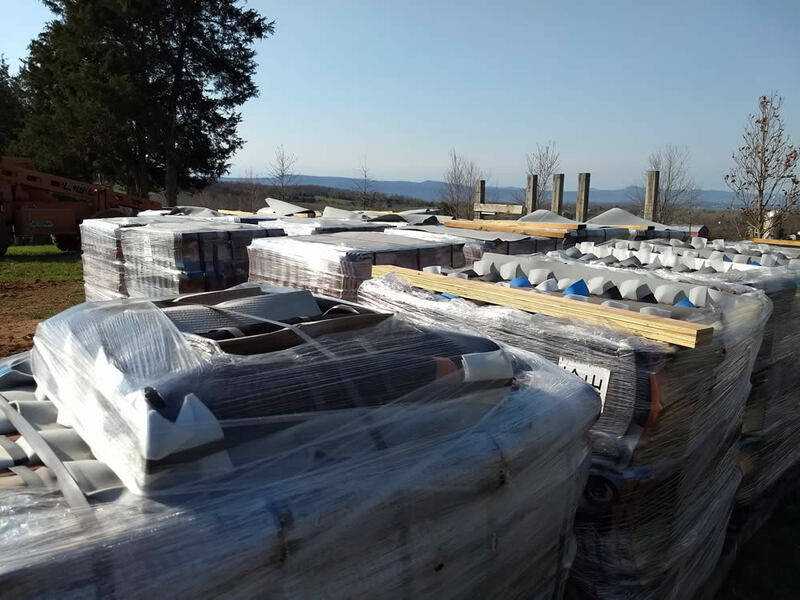 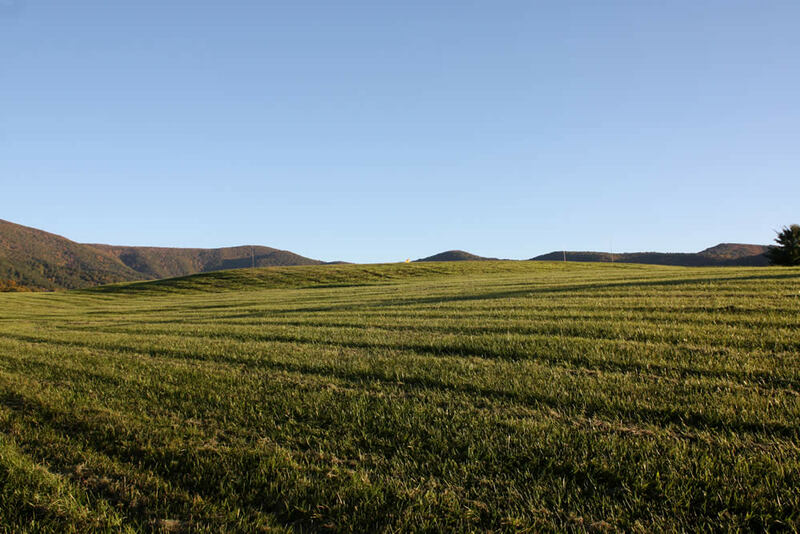 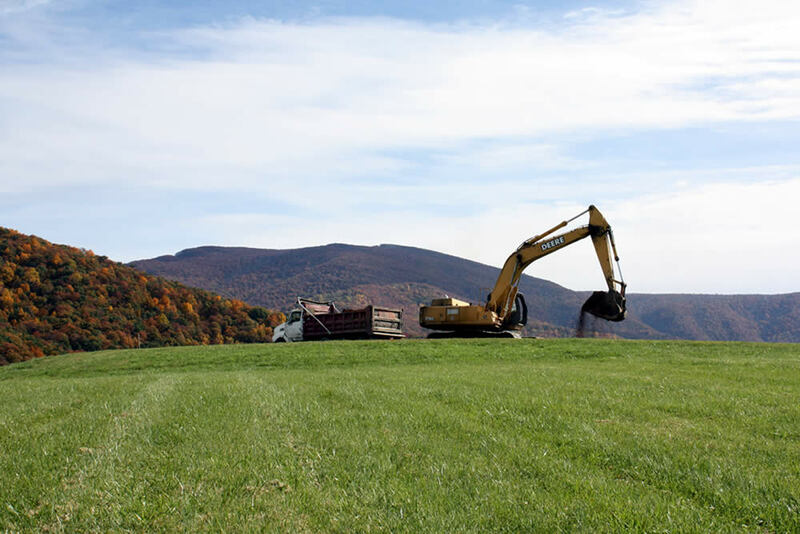 Earth-moving equipment has contoured the surrounding slopes into the foundation for a four-tiered formal garden—the Garden of the Four Immeasurables. 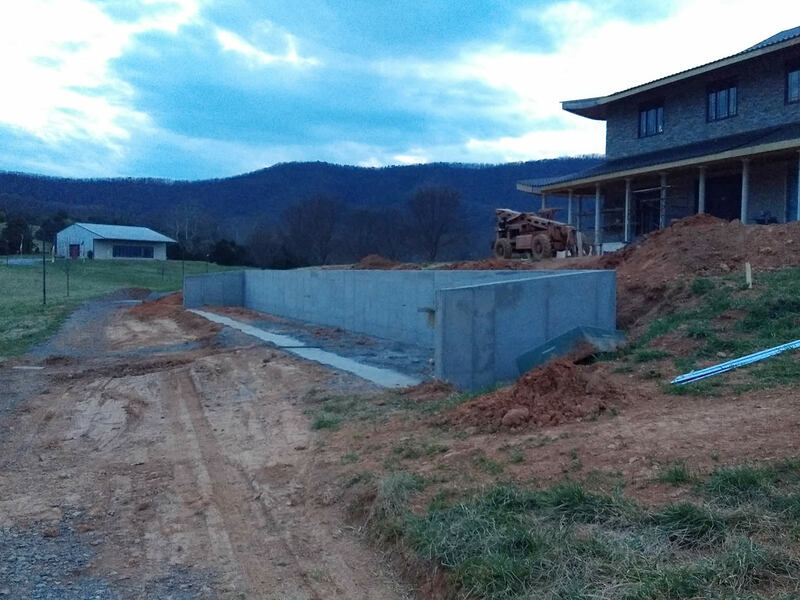 Footpaths will lead from the lower end of the land through the garden up to the temple. 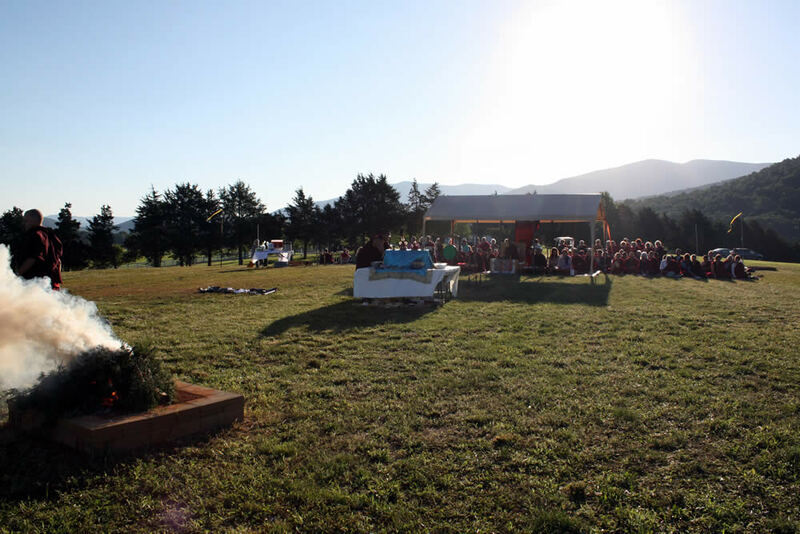 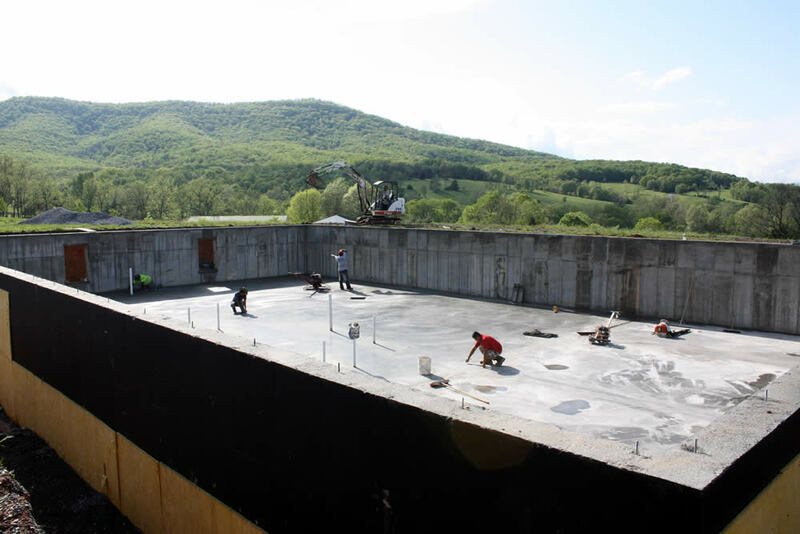 A large concrete area in front of the temple will provide a gathering place for outdoor events and for the cham (ritual dances), an integral part of every drubchen (the full practice of a sadhana over seven to ten consecutive days). 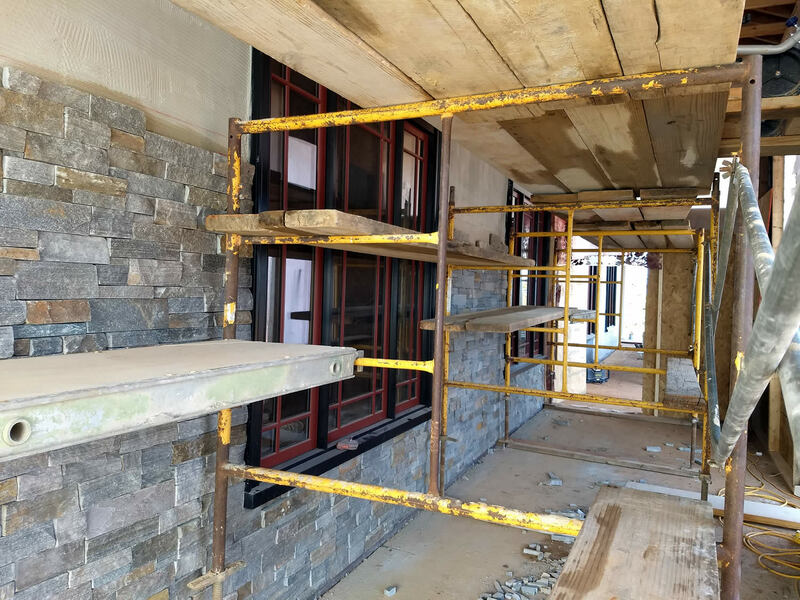 Under the able direction of the dedicated project manager, Britton Bosarge la, workers are finishing the exterior so it can withstand the coming winter weather, during which time the focus will shift to the main shrine room on the first floor—stairways, floors, elevator, heating, cooling, electrical, sprinklers, plumbing, dry-walling and painting. 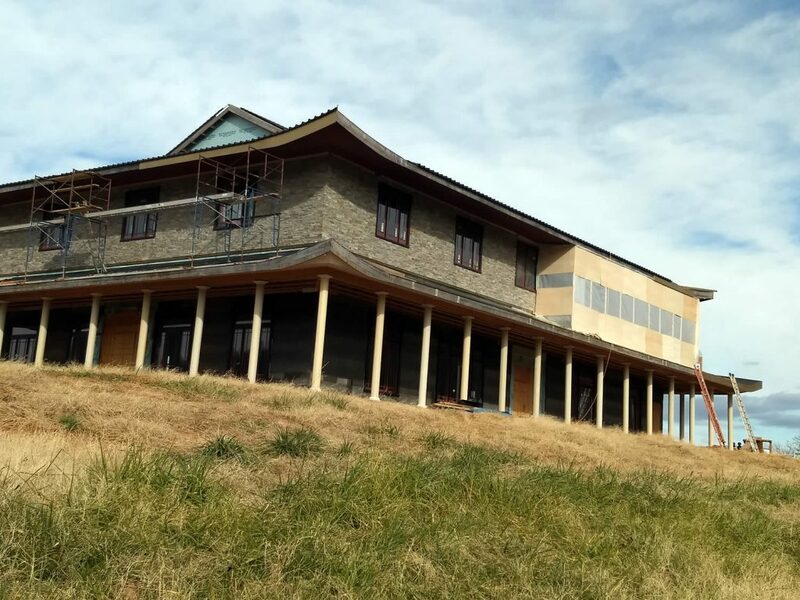 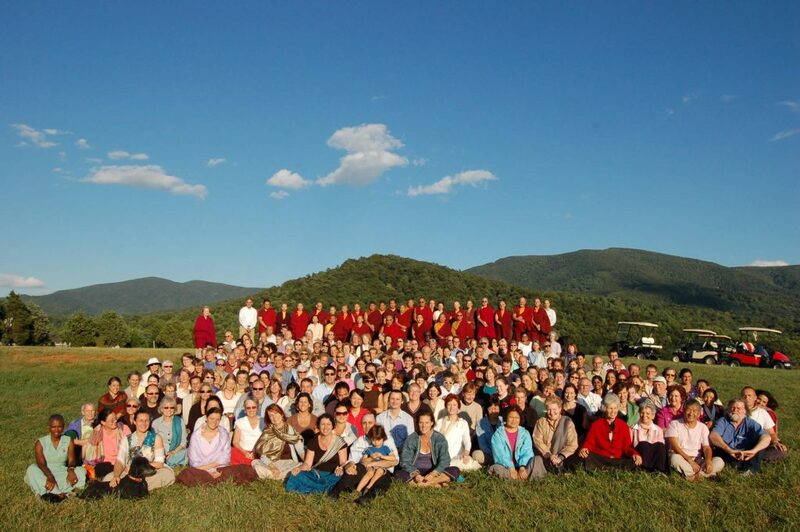 It is Rinpoche’s aspiration that Mindrol Lekshey Program and Vajrayana Retreat take place in the temple in 2018. 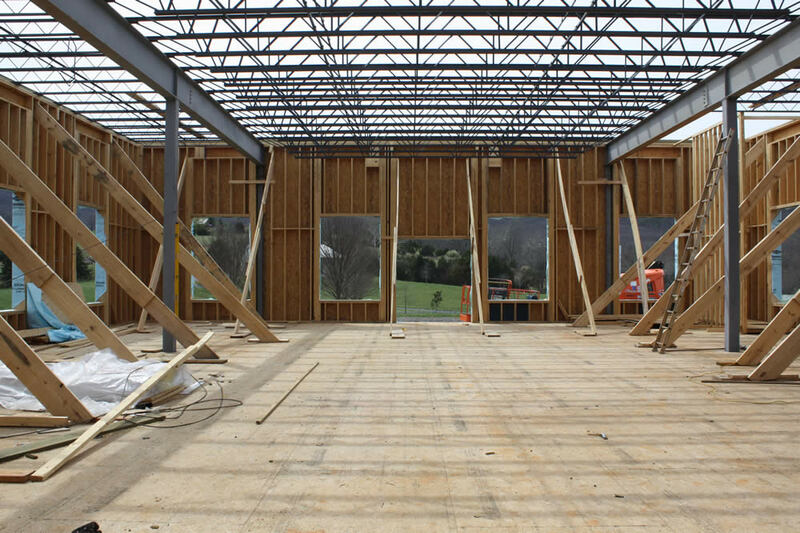 Fundraising has now resumed and to ensure that the indoor work will be completed in time. 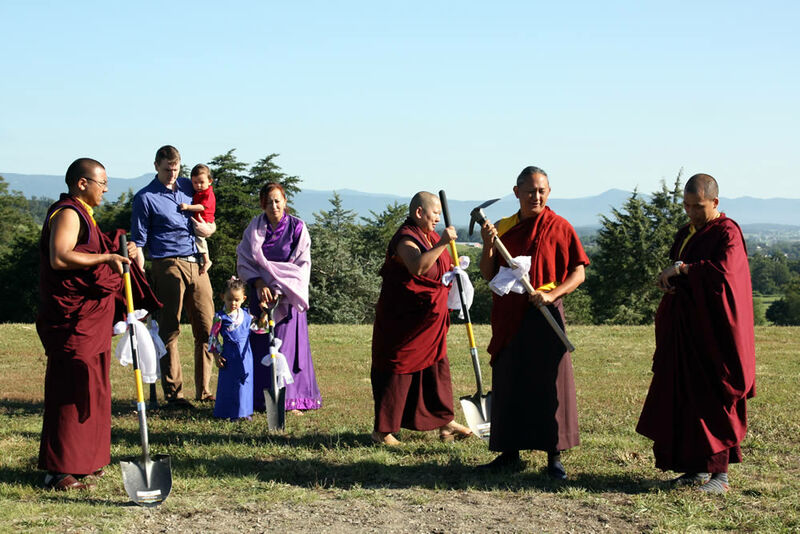 Mindrol Gatsal is now taking its seat within the magnificent treasury of the glorious Mindrolling lineage, due to the vast vision of Jetsün Khandro Rinpoche, along with the dedication and generosity of those planning, funding and building the temple. This remarkable beginning has generated abundant merit for all involved which may be joyfully dedicated to enlightenment for all beings now and for years to come. 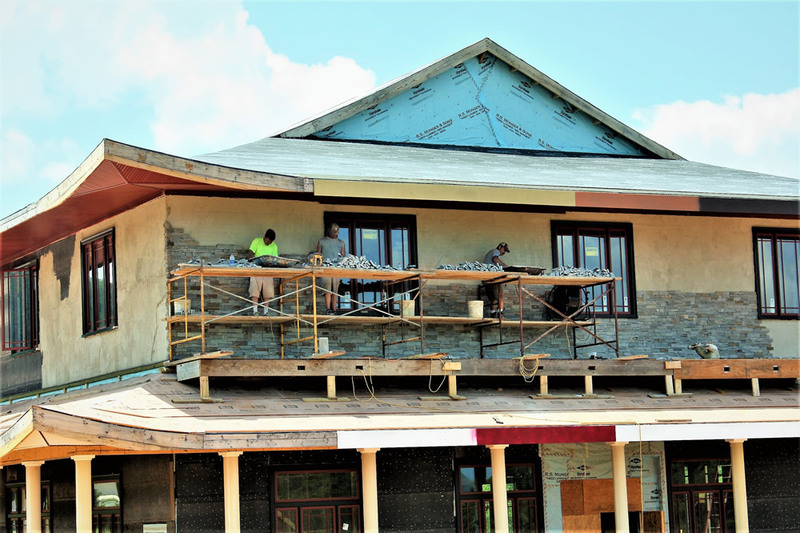 Please consider making a donation to help us hold the 2018 summer programs in the new temple.